Do you have pain in your shoulder? Not sure what you did to cause it? The problem could be a result of rotator cuff damage or overuse? That’s right, your shoulder pain that comes along with certain motions, or that you notice during sleeping, could be a result of rotator cuff tendon issues. Like most parts of the body, we don’t think about our rotator cuff until there is a problem. However, your rotator cuff issue can have a great effect on your shoulder pain. 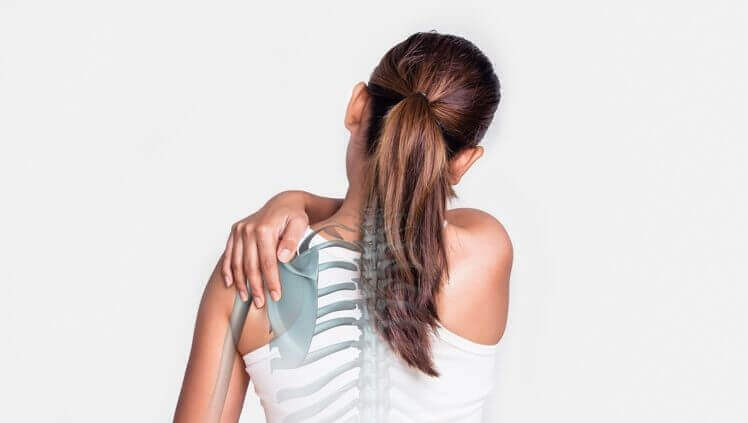 In fact, you use your rotator cuff many times a day to do even basic activities, such as throwing a baseball, lifting objects over your head or even brushing your hair and teeth. While we think of the shoulder as a “ball and socket” joint, it’s really more like a golf ball resting on a tee. The rotator cuff is made up of four muscles that surround your shoulder joint, which guide your shoulder and hold it in place as it moves. Therefore, when your rotator cuff becomes damaged, this can result in poor range of motion in the shoulder, pinching of the rotator cuff, inflammation and pain. Usually, an injured rotator cuff is a result of moving your shoulder in a forceful or repetitive movement. The injury itself is pretty common, especially as you age. However, an injured rotator cuff can occur to anyone, no matter his or her age. It is more commonly seen in older individuals, though. In fact, studies show that 30% of individuals under the age of 70 and 70% of those over the age of 80 have experienced a rotator cuff tear. How to Relieve Shoulder Pain For Good. Thankfully, there is hope for relieving your shoulder pain. This recovery comes with eliminating the inflammation, and strengthening the small rotator cuff muscles as well as the scapular stabilizing muscles as they are the main component of allowing proper motion in your shoulder. You can successfully strengthen your shoulder joint by getting the rotator cuff muscle working normally again. These exercises consist of isometric or small, low weight exercises. With heavy weights, you are recruiting too many big muscles. Your goal is to heal the muscles and tendons, and promote proper movement, which is accomplished by the methods just mentioned. Another helpful modality is kinesiotape to assist in offloading the shoulder joint. Ice and rest your shoulder. Ideally, you will want to ice for around 10 – 20 minutes, directly on the joint. This will decrease any inflammation and allow for better healing. Don’t worry if this causes the middle of your arm to ache. This is common. Hug a pillow while you sleep. Tuck the pillow deep in your underarm. This works by keeping your shoulder joint properly spaced and taking the tension off your rotator cuff. Squeeze your shoulder blades back and together. Be sure you don’t shrug your shoulders up – simply gently squeeze them back and down, as if putting them in your back pocket. This exercise will help retrain your shoulders to maintain proper posture and movement. Don’t follow the “no pain, no gain” rule. When it comes to the shoulder joint, increased pain often means you’re irritating it – don’t push through the pain. What Happens if These Tips Don’t Make The Pain go Away? If your pain doesn’t go away within 3-4 days of making these changes, you should seek help from a physical therapist. The purpose of physical therapy is to improve the function of the muscles surrounding your shoulder. This helps the mobility of the joint. Physical therapy specifically targets the small, but significant muscles in the shoulder that are often neglected. When you strengthen these muscles through physical therapy, you can better move despite the damaged tendons. Dr. Natalie performs her therapy in a soothing, gentle manner. She will educate you on the proper way to perform various exercises and techniques. The manual work will greatly accelerate the relief of your shoulder pain by restoring proper shoulder motion and function sooner. Thankfully, many patients with rotator cuff tears will not require surgical treatment. In most cases, physical therapy will be enough to remedy your shoulder issue. 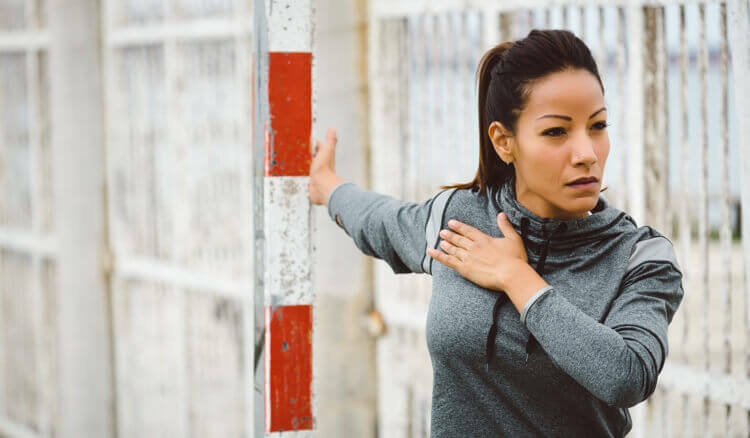 Call Reneu Sport + Health today to learn more about our programs and how they can help relieve your pain, or click here to schedule an appointment with Dr. Natalie.